THank You so much!!! I've been wanting to ask, but know you're super busy!!! Look at you! I will definitely flag this post and do it when I finally do it! It just sounds so overwhelming, but you do make it sound doable, and fun. You're a guru to me. Thanks dear! I've got to get going on it again. Can you believe I still haven't scrapped Kayla's baptism!! Crazy how the time flies. What a great idea! Can you delete any posts you may not want in the book? I'll have to tell my girls about this too! Thanks for stopping by my Welcome to Alberta post today. Appreciate the visit. Oooh! Thanks a bunch! I was curious about this. Thanks for posting this info. Is there a way to add additional pages to your scrap book, or are you stuck with just 22 pages per book? Allisyn- You can have as many as 400 pages. I always do around 200 cause I think that is a good thickness, but it just depends on you preference. I've been working on my book myself with Blurb's program. BUT I didn't know that you could take the pics directly by the double clicking thing!! I've been uploading from my computer and it's been driving me nuts. You just saved me SO much hassle, my friend. THANK YOU!!!! I just found another site called sharedbook.com and you can upload your blog like you did on blurb. I uploaded mine to make sure it worked, and it did. I think they only support blogger, but I'm not sure. I don't know what kind of quality they are, but it should be pretty comparable to the other site. Happy blog-booking! Elena I was just curious. 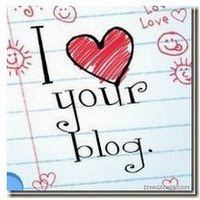 I notice that your blog address does not include blogger.com in it but it looks like a blogger blog in every other way. How did you do that and does it make a difference with Blurb? Cherie-It's just a custom domain that we own. The blog is still posted through blogger, it just points directly to my own domain. You can purchase a domain and then in your settings- publishing, have blogger point directly to that address. If you type .blogspot on my address it will also bring you directly here. And no, it makes no difference with blurb. I didn't even know that you could do that. Cool!